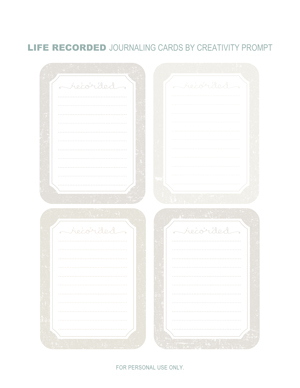 Today I am sharing a set of FREE ‘Life Recorded’ journaling cards with you guys (for personal use only). I hope you like it and have lots and lots and lots of fun with it. Make sure you didn’t miss the rest of the free printables on Creativity Prompt. How are you going to use these journaling cards? Please leave a comment and share. 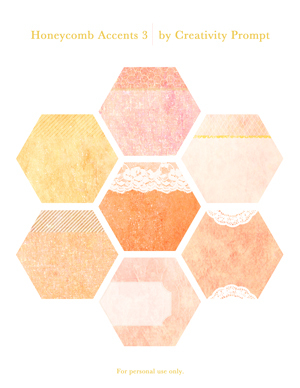 To celebrate the launch of my first clear stamps set: “Everyday Hexagons” I am sharing another set of FREE honeycomb accents with you guys (for personal use only). 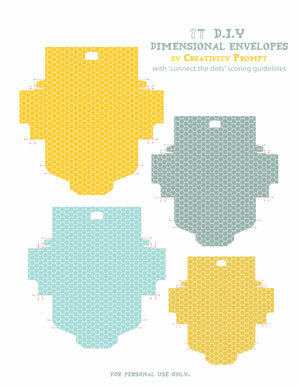 You may find the first edition of honeycomb accents here and the second edition of these free printable accents here. To download it simply click on the image and if it doesn’t work try to right-click on it and opt for the “save target as…” option (it may be phrased a bit differently on different operating systems – but do NOT opt for the “save image as” option, as you will get the low resolution tiny preview image). How are you going to use these hexagonal accents? Please leave a comment and share. 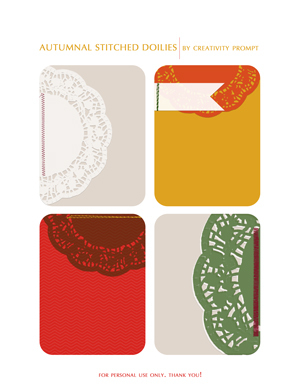 Today I am sharing a set of FREE autumnal stitched doilies journaling cards with you guys (for personal use only). This set is color coordinated with my former ‘Hello Fall’ journaling cards. 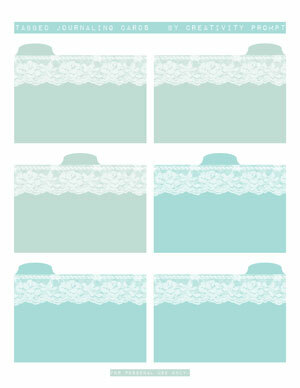 Also, if you prefer, there is a softer design of my stitched doilies journaling cards available for a free download. Back when we were kids creativity came naturally to us. Everything was possible and our prolific imagination was the only limit we knew. Through the years we have grown apart from our inner creative child and along with that – have lost our pristine and utter joy of creation. In this e-book I will pave your way back to your inner creative child, brick by brick. “Unleashing The Creative Child Within You” will explain why you became distant from your core creativity and will reveal the secret to getting it back. With exercises designed specifically to help you find the inner child within you, regain its confidence and unleash it – you are bound to get your mojo back faster than you think. You can read the Kindle book on Kindle devices, on your smart phones or on your PC or MAC. Today I am sharing a set of FREE ‘Good Times’ title journaling cards with you guys (for personal use only). I really enjoyed using my own handwriting with my Wacom Tablet. I hope you like it too… After all, it is just my handwriting and these cards revolve around type. 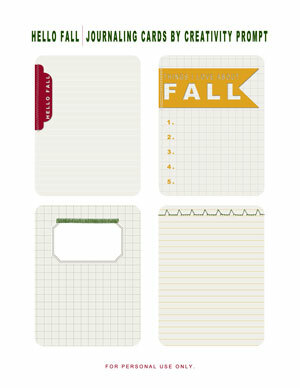 Today I am sharing a set of FREE ‘Hello Fall’ journaling cards with you guys (for personal use only). I am a peculiar girl. Although my birthday (and my husband’s and 3 sisters’ b-day) falls in the fall, I don’t like it. For me it symbolizes the end of summer, which is my favorite season. Lucky for me, in California, the change of weather is slight enough to provide a segue to winter, which I especially dislike. I’m a sunshine kind of person. However, that doesn’t mean, by any way, that I do not love journaling about the change of seasons and what it means to me and my dear ones. I hope you do too. Spice up your everyday memories with handmade epoxy stickers. Free Printable – Hey, Look Over Here! Today I am sharing a set of FREE ‘Hey, Look Over Here’ journaling cards with you guys (for personal use only). I don’t know about you, but I am obsessed with anything arrow-y at the moment. It’s so effective in catching the eye and guiding it where you want it to go… So I designed this set of journaling spots on trend. 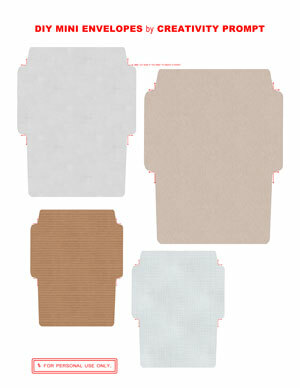 Today I am sharing a set of FREE DIY mini envelopes with you guys (for personal use only). Following the warm response the DIY dimensional mini envelopes has received I decided to create another set, this time with flat envelopes. Extra bonus: trim off the top flap to create a pocket instead [make it even cuter, by punching a quarter circle off the center of the bottom flap]. All you need to do is: print, score, cut, fold & adhere. How are you going to use these envelopes/pockets? Please leave a comment and share. Today I am sharing a set of FREE DIY mini dimensional envelopes with you guys (for personal use only). Assembly is super simple: (1) Print; (2) Score (by connecting the red dots); (3) cut; (4) fold; and (5) Adhere inner flaps. How are you going to use these mini envelopes? Please leave a comment and share. 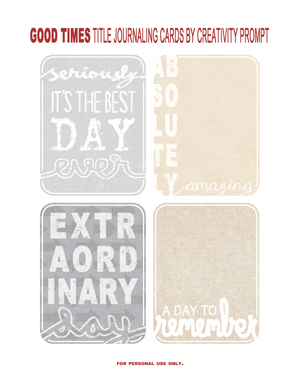 Today I am sharing a set of FREE tabbed journaling cards with you guys (for personal use only). 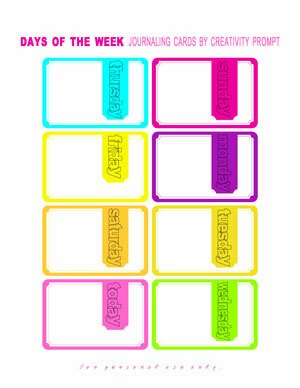 There are so many options with these guys… If you want even more tabbed journaling cards, check out this and that too. I can see mini albums (both horizontal and vertical) and hidden journaling; what can you see? 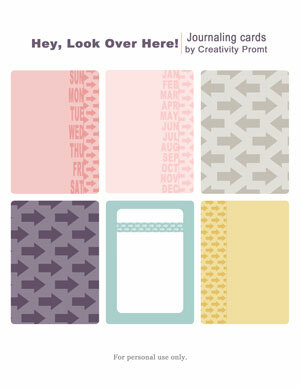 How would you use these free tabbed journaling cards? Please leave a comment and share. Today I am sharing another set of FREE days-of-the-week journaling cards with you guys (for personal use only). This time it’s a bright neon edition. You can also find a more neutral days of the week journaling cards or a more quirky version of the daily journaling cards for a free download. 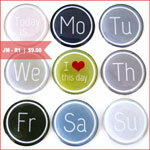 Add pizazz to your everyday life stories with handmade epoxy stickers. 9 stickers in each package. Each sticker measures 1″ in diameter.